At Thailand Retreats we continue to scour the beautiful islands, beaches and hilltop retreats across Thailand to find new, alluring and beautiful villas we can add to our portfolio. We’ve recently added some true gems to the collection. 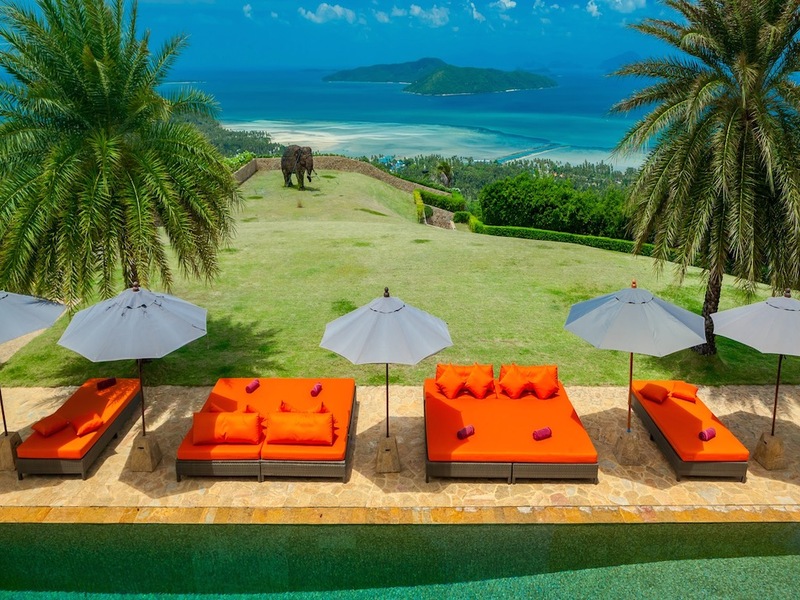 This is an extremely stylish villa with cutting edge architecture and a magnificent sunken lounge and infinity pool with excellent views over Angthong National Marine Park and right over to Koh Tao and Koh Phangan. It’s nestled in the hillside, but is less than 5 minutes to a sandy beach and it is also set between the exclusive 'W' hotel and the Four Seasons both having a choice of bars and restaurants. There is no need to leave the villa to experience delicious cuisine, as the villa comes with the services of a Thai chef who will source food locally for you from fresh seafood to exotic fruit, spices and vegetables. The chef can cook Western or Thai dishes to order. The villa has plenty of facilities including a cinema room and table tennis table and private yoga classes can be organised on the terrace. 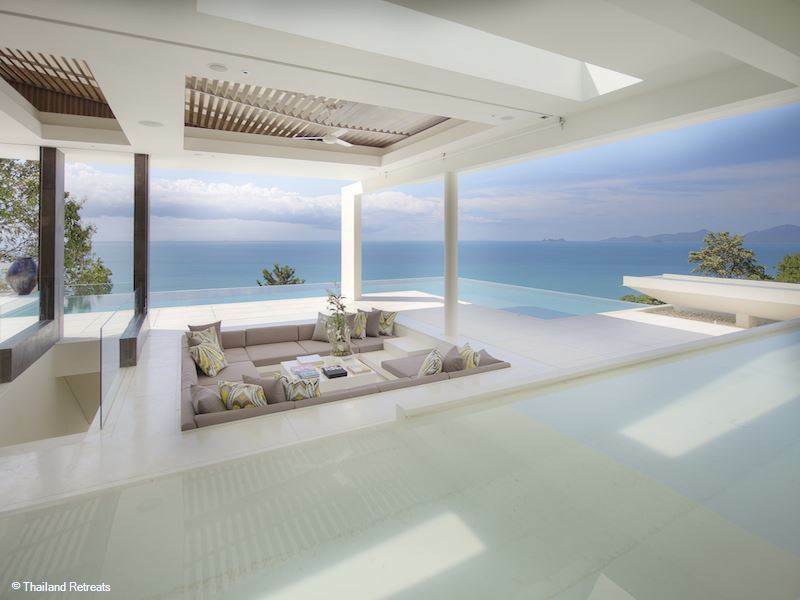 This breathtaking hilltop retreat situated above the beaches of Taling Ngam and the fishing village of Thong Krut. The villa has been designed with a fusion of traditional and modern styling creating a very calming and balancing style of architecture, built using stone and wood and containing some amazing sculptures and lighting. A lift is available between the floors and for entertainment and relaxation there is a spa, games room, fitness room and a cinema room. This is certainly the villa for a party or a wedding with it's large outside lawned areas, super swimming pool and quite unique on Koh Samui Villa Katrani has it's own nightclub with DJ booth and bar located on a lower level and opens out on to a full size tennis court with ample racquets available. So you can play all day and party all night if you want to! Villa Hin is also known as 'The Rock House' - due to a unique natural rock formation being in the foundation of the design of the villa. The villa offers fantastic views over the ocean to the island of Ko Matlang with the bedrooms of this spacious villa all have their own private area and plenty of decking area for communal hang outs. Either side of the villa are pathways that lead down through tropical gardens to the water's edge where you will find a delightful small, sandy cove shared with a couple of bungalow resorts/restaurants. 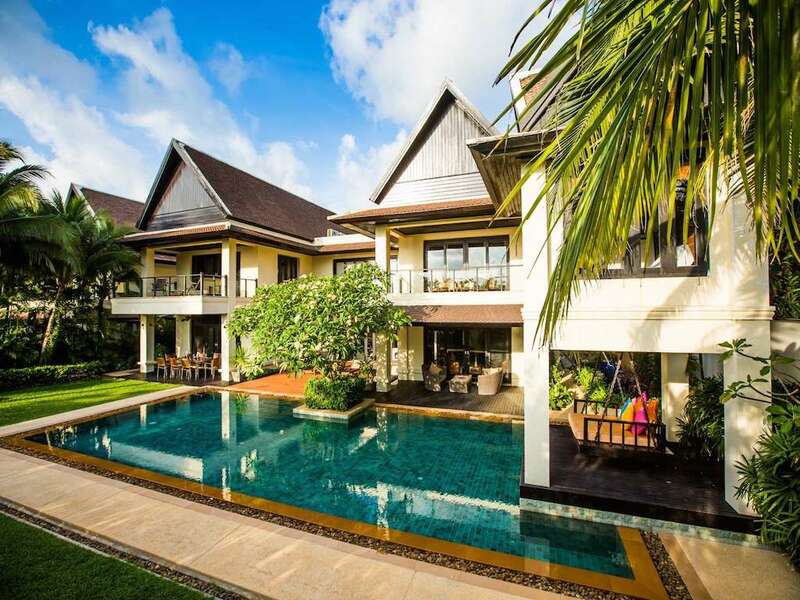 The villa is perfectly positioned 5 minutes from the beautiful bay of Cheong Mon beach, 10 minutes from the longer and more commercial but equally beautifully Chaweng beach in addition to the town's lively nightlife and 15 minutes from the popular Fisherman’s Village with all it's shopping and dining choices. 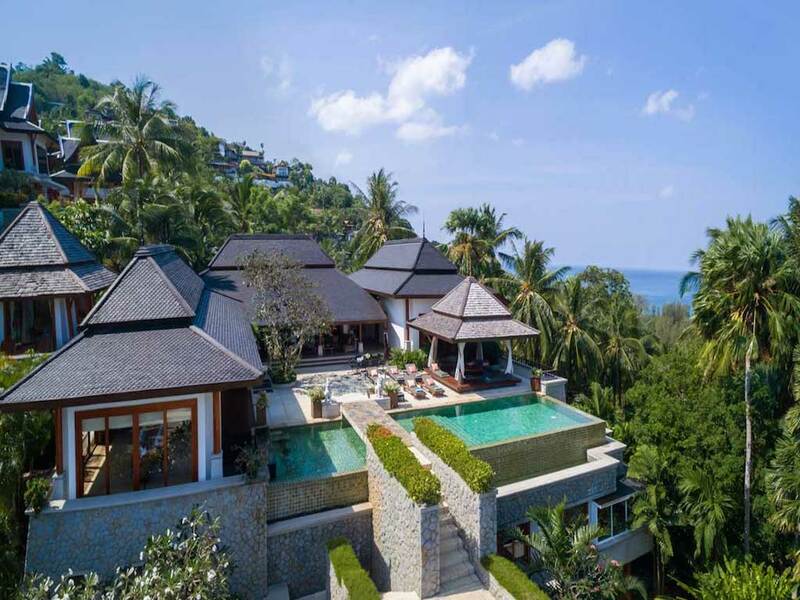 This villa is set in an exclusive beachside development, just a 100 metre stroll from the tranquil and relaxing Layan beach and the neighbouring Bang Tao beach beyond. The large pool is surrounded by a beautiful poolside terrace and you’ll also find a cushioned swing seat, what better way to enjoy an afternoon than swinging away with an iced cool drink. The villa is staffed and also has a driver and minivan available for the duration of your stay. There is a daily breakfast and a chef service can be arranged on request. 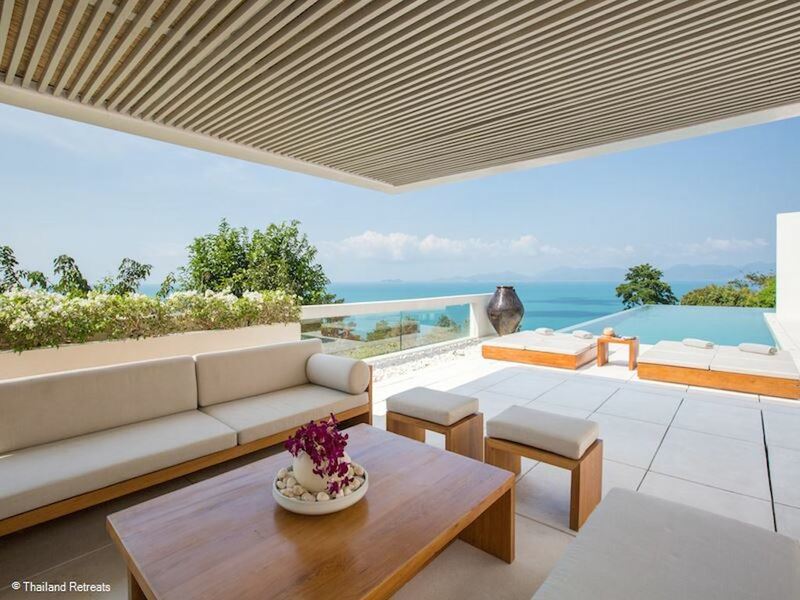 This beautiful 7 bedroom villa is in a fantastic location in the hillside above Surin beach, Phuket. There are some amazing sunset views here - it is the perfect place to have a family barbecue and take in the stunning surroundings. The huge villa has a wealth of areas for group dining, has a pool with swim up bar and a fantastic terrace. The housekeeper Lily will prepare a special meal for you on arrival free of charge and if you would like her to continue to shop and prepare your meals for the rest of the stay, you pay only for groceries. Jone is the mini bus driver and she will collect you from the airport and be your driver and guide throughout your stay. It can also be arranged for a masseuse or yoga teacher to visit the villa. 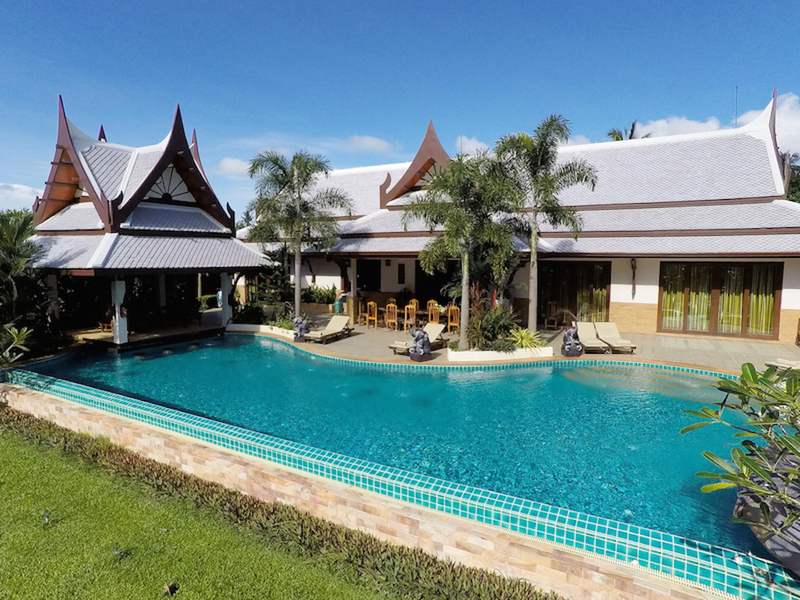 This is a 3 bedroom and a 5 bedroom villa with the stunning backdrop of Krabi’s limestone cliffs, both have a 19 metre swimming pool to enjoy and come with the services of a minivan for your stay and a paid chef service if required. 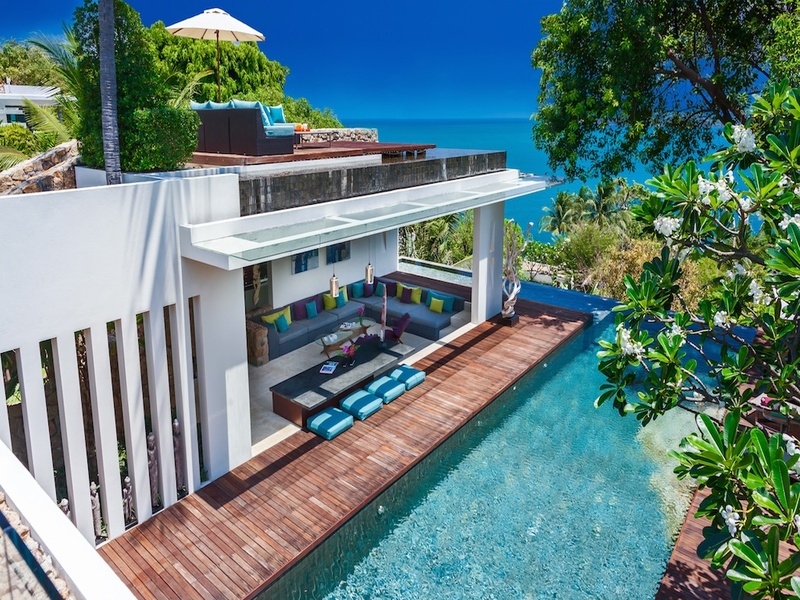 The villas are just a short 10 minute drive from the beaches and town of Ao Nang.